The author: While I was at Monticello, situated on a hilltop in Charlottesville, Virginia with broad and pleasant vistas, I had the pleasure to meet the author of a newly published book (December 2013) that focuses on Jefferson’s early years as a boy and covering his first 31 years from 1743 (when he was born in nearby Shadwell) to 1774. 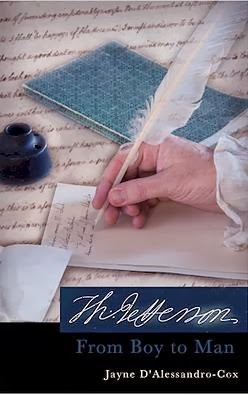 Jayne D’Alessandro-Cox has written a very readable account of these early years in Thomas Jefferson: From Boy to Man. Biography or Novel? 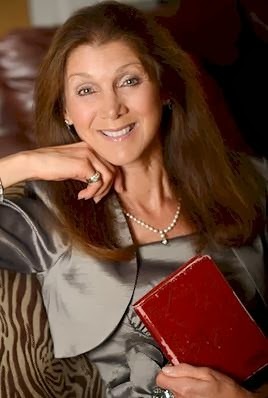 While the author characterizes the book officially as a novel, and there are limited parts that are formed from her imagination that she clearly identifies, most of the book is historical and factual. It’s more biography and history than novel, and thus the term “historical novel” doesn’t really accurately characterize the book. Purpose accomplished: Jayne has accomplished her purpose well in this book that was three years in the making of meticulous research and pleasing writing. In reading this 251 page book (plus references, appendixes, and notes), I did feel transported back in time to understand what it would have been like for Jefferson to grow up in those times. She does a wonderful job of clearly setting the context of the times, and making history accessible. For example, she describes how Jefferson and his father were both surveyors and the importance of this profession in those times as well as some of the challenges of surveying then with the tools that were available. Personal not political: The book is more a personal account of Jefferson’s early years than it is a description of political issues of the times. This is a very human account of Jefferson and his family. It addresses his awkward and failed attempt at courting Rebecca Burwell, his days studying at the College of William and Mary, the fire at the family home at Shadwell, his courtship and marriage to the widow Martha Wayles Skelton, the impacts of earthquakes and floods, and so much more. Pre-Tour guide book: D’Alessandro-Cox’s book is packed with very readable historical details and descriptions of the geography, and makes the Virginia countryside of Jefferson’s youth come alive. For example, it sets the context for the tobacco economy that formed the basis of wealth in colonial Virginia. 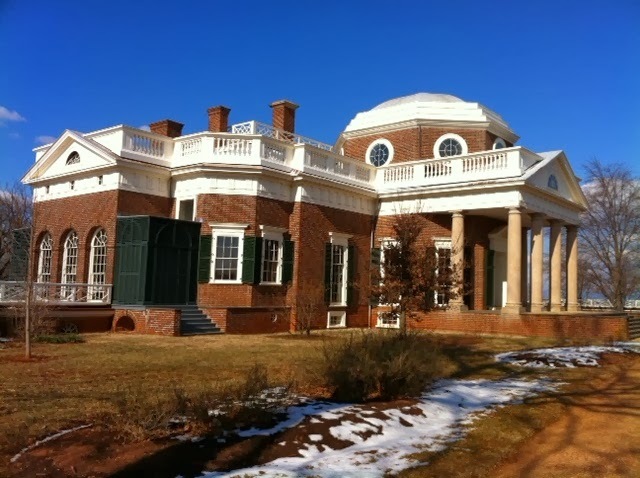 If you’re planning to visit Monticello, read Jayne’s book first as a “pre-tour guide.” It will enhance your understanding of what life was like for Jefferson as a boy and young man. Summary: Jayne D’Alessandro-Cox has written a well-researched book from multiple sources. It is an important contribution focusing on Jefferson’s early years. If you’re interested in buying a copy of this book, visit Jayne’s website by clicking here, the publisher’s website, or buy it from Amazon.